This week, Ana chatted with Alejandro Rizzo, a Photo major in his fifth year. What is the main topic of research for your thesis? My thesis researches the current social, economical and political state of my home country, Venezuela. It does not really encompass what has happened historically, but some of what’s happening right now. It deals with socialism, and topics of communism and capitalism. What has been your strategy for encompassing this very complex topic in a single body of work? 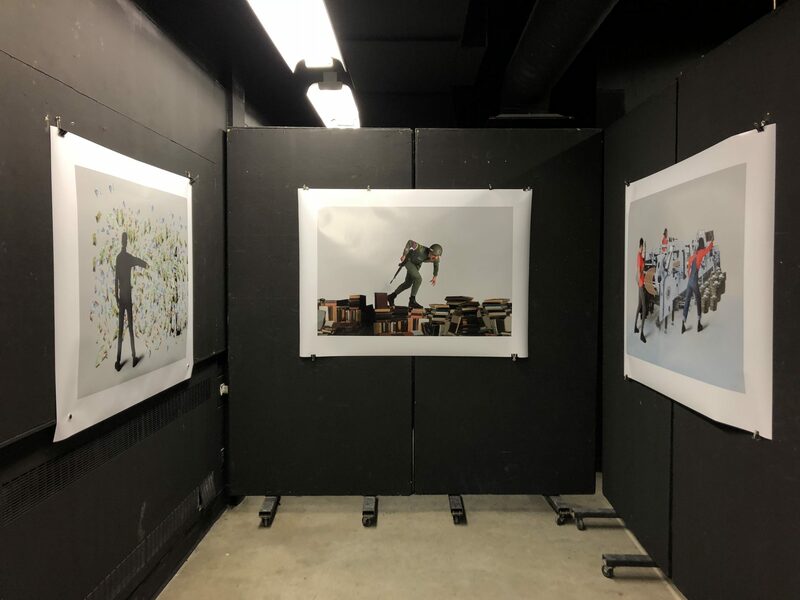 Especifically with my thesis, even though it is a work about Venezuela and a different part of the world, I try to execute it in a way that can be understood universally by everyone regardless of their background or political stance. It has characteristics that relate directly to Venezuela, but the way I choose to depict it is through symbolic representations. I think it can be understood by anybody who stands in front of it. Of course, it needs text to go along with it; once you have that, you should be able to understand what’s happening in the image, without necessarily having a background on Venezuela. Having little to no access to taking photographs in Venezuela, what are your tactics for creating a visual narrative that talks about this current crisis from afar? What helps me is to keep a connection with Venezuela, knowing what’s happening and what is being dealt with down there. 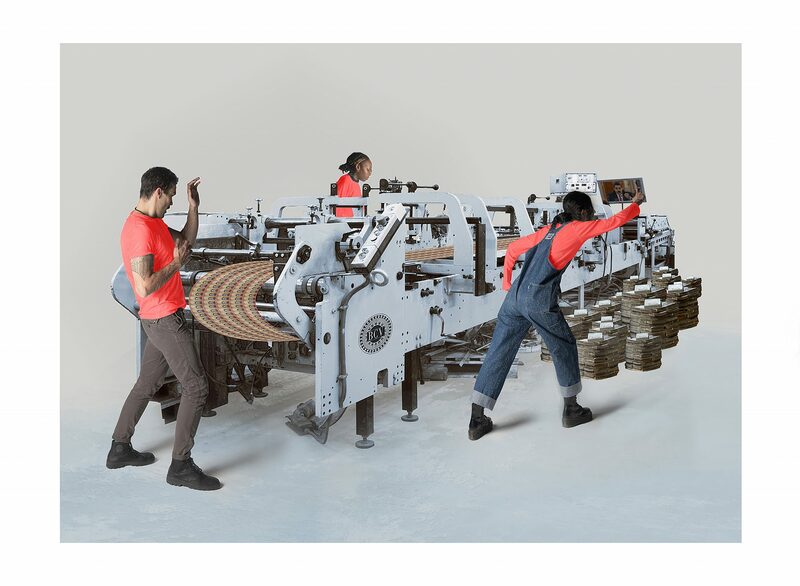 I’ve been making my thesis based on both found and taken images. Based on my research, I am able to search specific images in Google that will help me develop a collage. I mix them with my original photographs, giving them a new meaning, and making them express what I want to show. I am interested in knowing more about the way you construct these images conceptually. The first thing I do is I try to look for models or people that somehow resemble the people I grew up with. I look for people who could fit with what you would find in a country like Venezuela, which is very multicultural, so for me it is really easy to find models in Toronto, because it is a very multicultural place. We also have very strong visual characteristics in the two main political sides in Venezuela; for example, the opposition is usually represented with a variety of colours, from blue to yellow and orange, and the chavismo has always used the colour red in abundance. Some of these symbols help create the narrative. At the end of the day, my project is not meant to be a literal representation of what is happening. I am far away and, like you said, the situation is very complex. Rather, I try to narrow it down to symbolic representations about values, consciousness, ethics, conducts, etc. Tell me a little bit about what you presented for your final critique last semester. I handed in three different constructed images printed mural size, 44×60 inch. 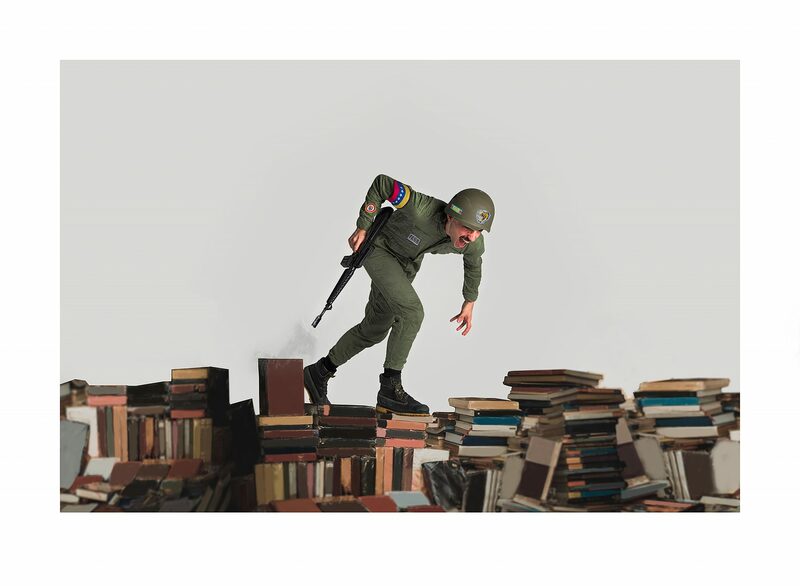 The first one talks about the military: in the picture, a soldier is stepping on a pile of books. Again, not a literal representation, but a symbolic translation of what happens. The second picture shows a bill printing machine printing a lot of bolívares, the Venezuelan currency. It talks about hyperinflation and how the Venezuelan government has tried to fix it by printing more bills. The third picture shows someone handing one US dollar bill, and millions of bolívares flying around it. The image deals with the value of the US dollar in Venezuela, and it shows you how little the bolívar is worth. How do you see your work evolving this semester? I’m still going to be working with the idea of mural-size tableau images, I think it is working for me. This semester I’m going to explore topics of religion and how it is an enormous source of hope for the people who are still in Venezuela. Also, how santería has grown and become one of many ways to resist and emotionally survive, a gateway reinforced by the government, to distract their supporters from the harsh reality Venezuela is going through. How was the process of choosing a topic? Was it clear for you from the beginning, or did you struggle? I think this is a source of anxiety for people going into thesis year. Some people feel intimidated by the word “thesis”. It is nerve wracking, but it depends on how people deal with concepts and their own ideas. If someone came to me scared and confused about what they’re going to do, I would tell them to revisit what they’ve done in the past. If they have made projects that are somehow linked by a topic, dig into that. Specifically in my case, I was always dealing with three topics throughout my journey at OCAD. I was always exploring politics in Venezuela, Queer theories and anything related to being queer and from the LGBTQ+ community, also, dealing with my mind, and understanding the depths of my dreams and nightmares. For me, it was very easy to choose Venezuela as a topic because it is something I grew up with. Ever since I was a kid, there were always chats about politics around me, and I was exposed to frightening events which evolved into a handful of traumas that I need to squeeze out from me. In terms of your experience doing thesis, what have been difficulties and obstacles, and what has helped? It is definitely a big challenge to work on a big year-long project, after you followed guidelines for three years. What helped the most was to continue digging, reading, looking at images, both contemporary and historical. Keeping your brain up and running helps a lot with thesis. I personally struggle sitting down and actually doing the work, but one thing that definitely helped was to plan out how my days were going to be. Last year, I had the opportunity to do a self-directed program in Florence. I think for me the challenge was then, rather than this year, because I was forced to undergo the same self-directed experience. What is a piece of advice you would’ve liked to know before you started? I’m not sure, I was kind of expecting thesis to be what it is. What I would advice to people who don’t know what it is all about is: research. Start your research early and keep researching throughout the year. There are papers to be handed in, and alongside your work you need to show what you’ve been investigating and looking at. I would encourage people to start researching and thinking about it before the semester starts. But also, don’t expect your work to be what you envisioned in the first place, it is going to change and evolve. It might end up being something completely different, and that is okay. Can you name some professors that you think people should definitely take classes with? April Hickox, she knows dozens of artists that may relate somehow to whichever your topics are. Meera Margaret Singh, she is very knowledgeable about current issues, and is able to help you structure your own thoughts. Kate Schneider, she holds a degree in Political Science and she is very resourceful. And Peter Sramek, also very knowledgeable, of great help around techniques and shoot approaches, and tries to work around your ideas.